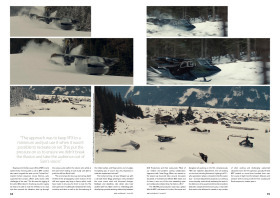 Since the early days of digital animation, computer effects have been used to enhance or replicate elements on screen that were too costly or, frankly, too implausible to produce for real. 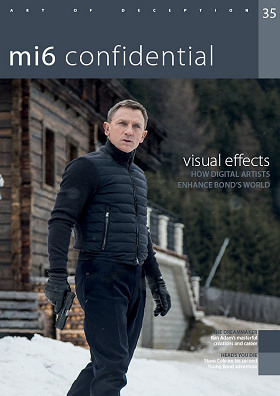 Yet, Bond films have a worthy reputation - from explosions to death-defying stunts - of 'doing it for real'. 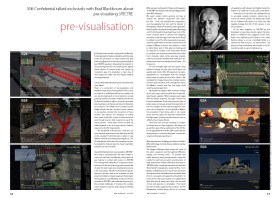 But even his most impressive feats have been subtly enhanced by computer animation in recent years. 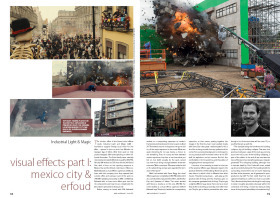 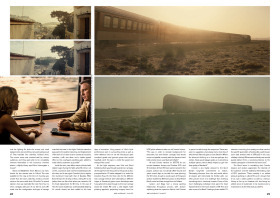 This issue we talk to VFX experts from three companies who all worked closely with Sam Mendes, Steve Begg, and Hoyte van Hotyema to alter, enhance, and generate elements of SPECTRE. 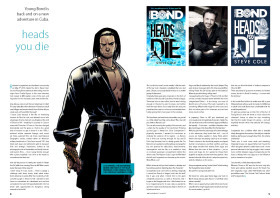 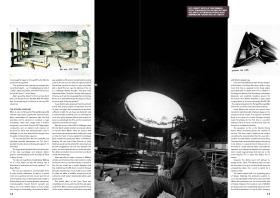 This issue of MI6 Confidential magazine also hosts a new and exclusive interview with Steve Cole, whose second Young Bond adventure hits shelves this month, and celebrates the life and work of the late production designer Ken Adam.